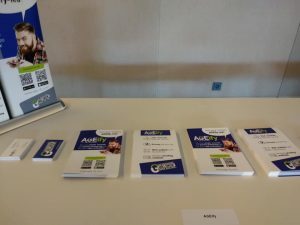 TES Affiliate Conference 2019 welcomed AGEify, our innovative application for online age verification, in Lisbon. The event was organized by The European Summit and held from 1 to 4 March 2019 at the Oitavos Hotel, in Cascais. TES Affiliate Conference is one of the largest events, in which professionals from the online entertainment industry, affiliate marketing, e-commerce, advertising, gaming, gambling and financials are gathered in order to live a great networking experience for 3 days. On the first day of the event, the program included various activities, thus welcoming the participants and giving them the opportunity to meet as many new business associates as possible. Apart from that, a 3 hour meeting was also held in the first day, where all the attendees introduced themselves and presented their digital products and services. Furthermore, the next two days included the most interesting part of the event where seminars, speeches, product and speed presentations were held. In a few words, with over 80 speakers, 150 exhibitors and plenty of networking sessions, participants had many opportunities to create new contacts and get new ideas to improve their products. Our AGEify team participated in the TES Affiliate conference, which offered us the opportunity to have new contacts with other important business associates and to present and develop our application. AGEify’s goal is through online age validation, to help Internet to become a safer place, especially for people, who are under 18 years old. Therefore, the participation in such events is an important step, so that the application achieve the optimal operation and leave its own distinct ‘’spot’’ in the world of applications.